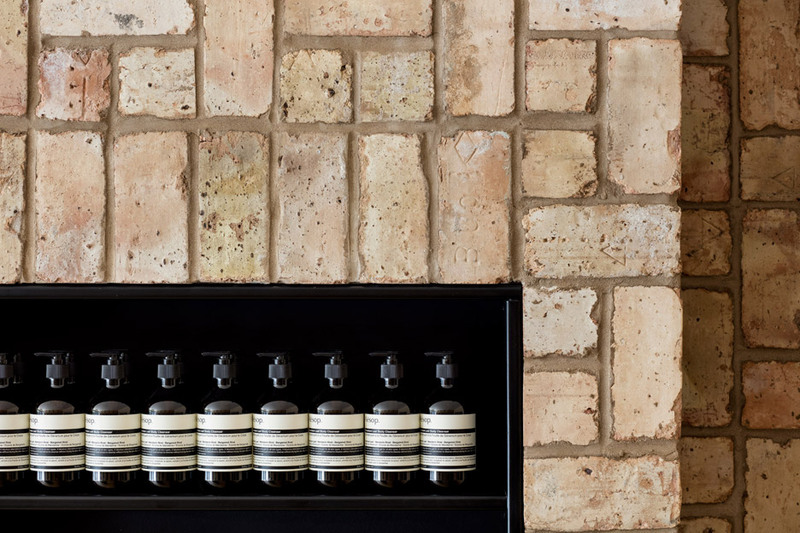 Reclaimed Bricks arranged in pinwheel patterns line the walls of skincare brand Aesop‘s first store in the American Midwest. Designed by New York and Chicago firm Norman Kelley, the shop is located in the Windy City’s Bucktown neighbourhood. 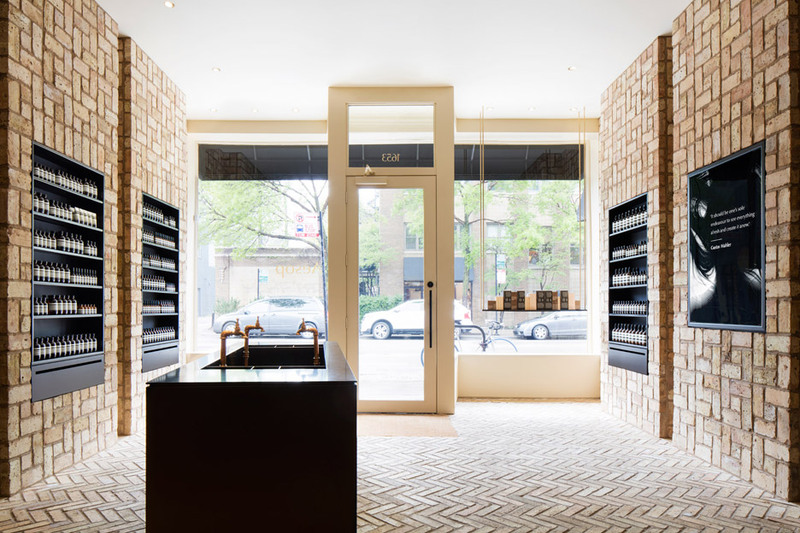 Aesop Bucktown, Chicago, USA interior design by Norman Kelley using herringbone bricks. This extra weight required extensive structural alterations to the building. Black alcoves display the brand’s skin and hair products. The same colour is used to form the service counter and a central wash basin unit for testing samples. Aesop and Norman Kelley collaborated closely on the design, which marks the brand’s first location in the Midwest region of the US. “We were encouraged to look near, rather than far, for conceptual, material, and tectonic inspiration,” said Kelley. 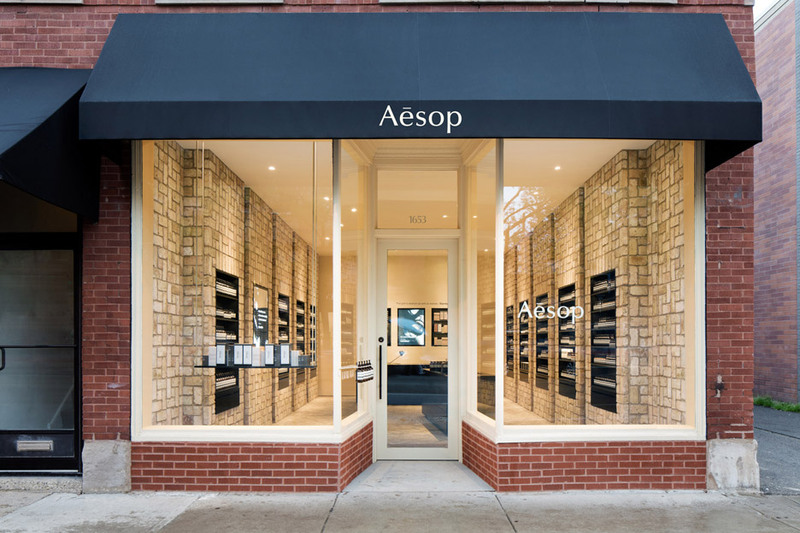 “We unified our knowledge of Chicago’s architectural history, from post-fire  to Postmodernism, with Aesop’s dedication to creating considered architectural interiors,” he added. 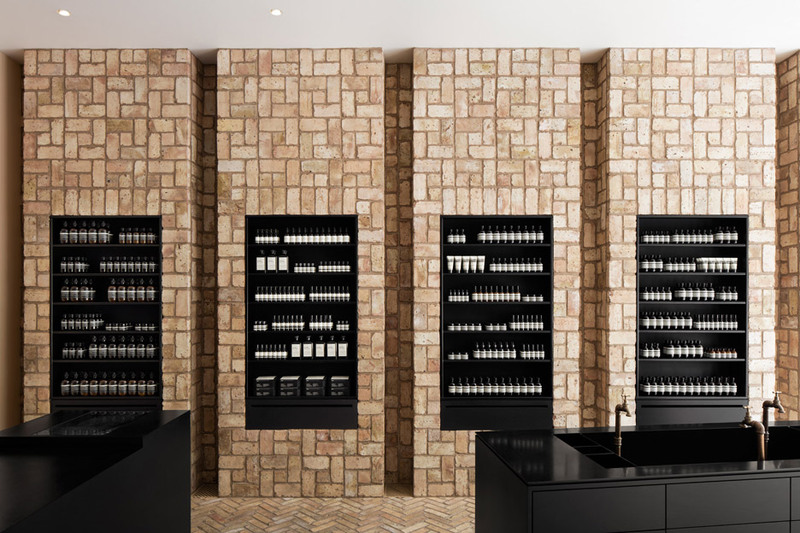 Aesop was founded in Australia by Dennis Paphitis, who spoke about how he “didn’t want to create a soulless chain” during an interview with Dezeen in 2012. The brand’s other shops in the US include an outpost in New York’s Chelsea, which is decorated with copies of The Paris Review magazine, and a store in Boston with shelves made from wooden cornices. It also has spaces in San Francisco, East Hampton and Grand Central Station. Norman Kelley is currently working on an Aesop store in New York’s Tribeca district, due to open soon.